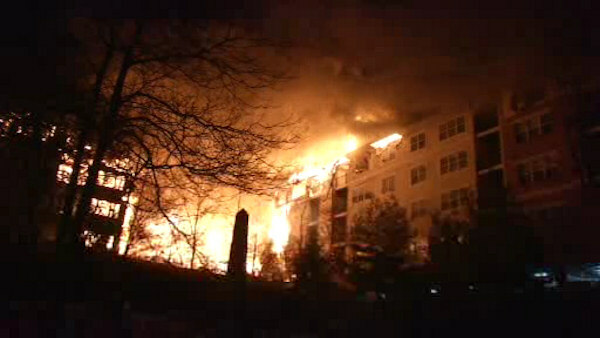 EDGEWATER, New Jersey (WABC) -- New plans were unveiled at a meeting in Edgewater on Wednesday night to replace an apartment building that was destroyed in a massive fire last year. Avalon Bay, the developer of the property that once held the Avalon at Edgewater apartment complex, presented rebuilding plans which involve the same controversial building materials that helped the January 2015 fire consume a 240-unit complex and leave roughly 500 people without homes. The developer says that safety will be a top priority and they will be reviewing all options.